The Honda Insight has returned after six year hiatus from the market. It's now a traditional sedan that slots in between the Accord and Civic in the line-up. The Insight is powered by a hybrid powertrain consisting of a 107-hp 1.5-liter Atkinson cycle 4-cylinder engine and a 129-hp electric motor for a combined system total of 151-hp. 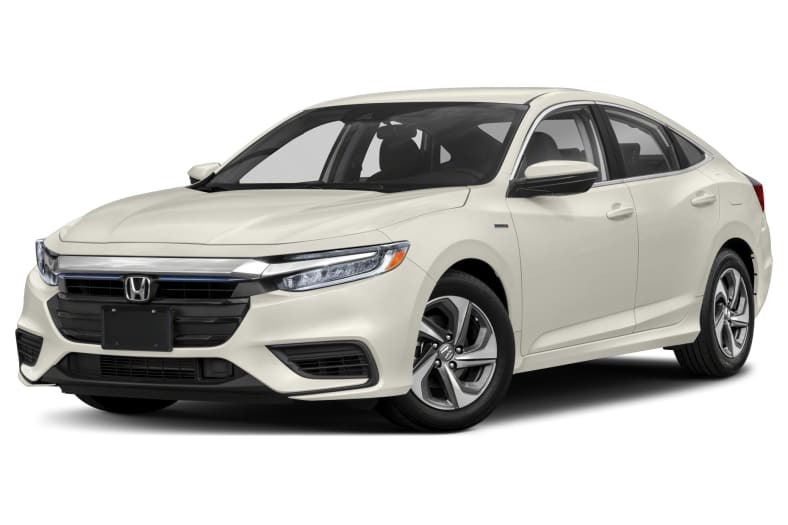 The Insight seats five and includes Honda Sensing safety features such as lane departure warning, collision mitigation braking, lane keeping assist and adaptive cruise control with low-speed follow. Some standard or available features include Apple CarPlay and Android Auto, LED headlights, fog lights and rear lights, 17-inch aluminum wheels, dual-zone climate control, 8-way power driver seat, leather seat trim, heated front seats, Bluetooth streaming, voice activated navigation system with live traffic, SiriusXM satellite radio, HD Radio, 10-speaker audio system, Wi-Fi hotspot, rain sensing wipers, HomeLink, heated rear seats, power sunroof and auto-dimming rearview mirror. The Insight is all-new for 2019.